We rent out both the small field and the big field! 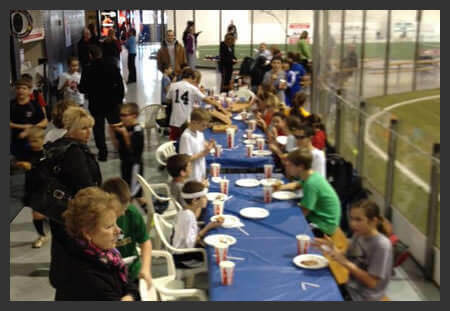 You can rent a field for a team practice, a get together with friends, or even birthday parties. You can always use more practice. That is why Soccer Centre is making its fields available for rental. The big field can be rented for $135 per hour or you can rent the small field for $85 per hour. Make sure you call the office in advance to schedule a field rental time. The number is (419)893-5425.